It's Jimmer time again, folks. Jimmer Fredette is making his return to the NBA after a three-year hiatus, agreeing to a two-year contract -- with a team option in the second season -- with the Phoenix Suns, according to Shams Charania of The Athletic. Fredette was a highly touted player during his collegiate career at Brigham Young. He led the nation in scoring in his senior season in 2011 and was named the National College Player of the Year during that same season. Despite being undersized as a 6-foot-2 shooting guard, his accomplished collegiate career led to him being drafted with the No. 10 overall pick in the 2011 NBA Draft. Needless to say, Fredette never came close to living up to his famed college career in the NBA. 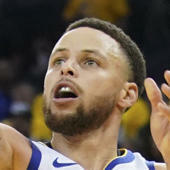 He bounced around four teams during five disappointing seasons and concluded his initial NBA stint with a career average of 6.0 points per game on 41.2 percent shooting from the field. However, he left the states for China and became an elite basketball player in the Chinese Basketball Association with the Shanghai Sharks. During all three of his seasons in Shanghai, Fredette was named to the All-Star team and was the CBA International MVP in 2017. This represents another opportunity for Fredette to make a career in the NBA. At 17-55 and lottery-bound for the draft, Phoenix, back in action on Thursday against the Detroit Pistons (10 p.m. ET -- watch on fuboTV with the NBA League Pass extension), is just looking for depth and somebody to eat up minutes for the remainder of the season. With no expectations of winning, Fredette should see this as a prime opportunity to re-prove his worth to the league in a low-stakes environment.